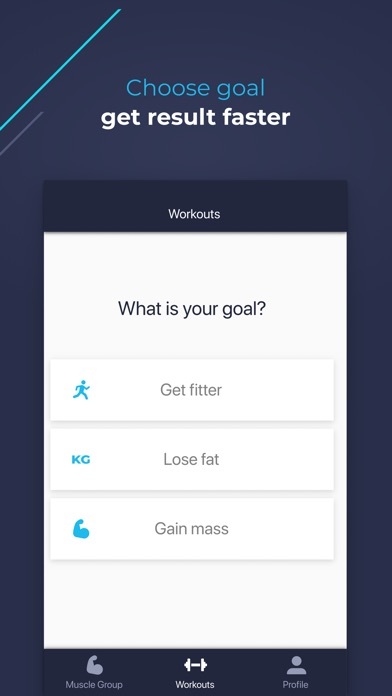 The fitness workouts app that helps to see results at the gym fast enough: Bodybuilding, Muscle Building, Weight Loss, and Keeping Fit. 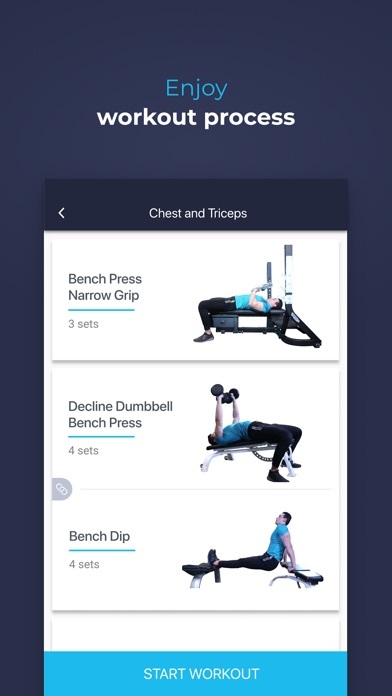 Gym done is a Master Personal Trainer for full body workouts.The personal trainer in a pocket for every gymaholic. 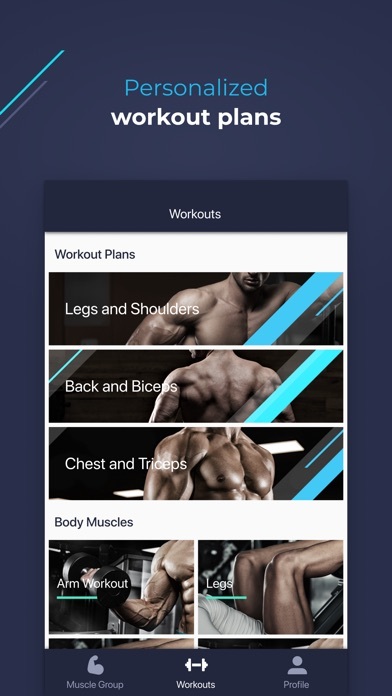 Plan, Train, Workout and get pleasure with one app that operates to fill your bodyspace. Vast opportunities with lots of Exercises for our users. There are full range of exercises with possible variations and alternatives within the gym guide. 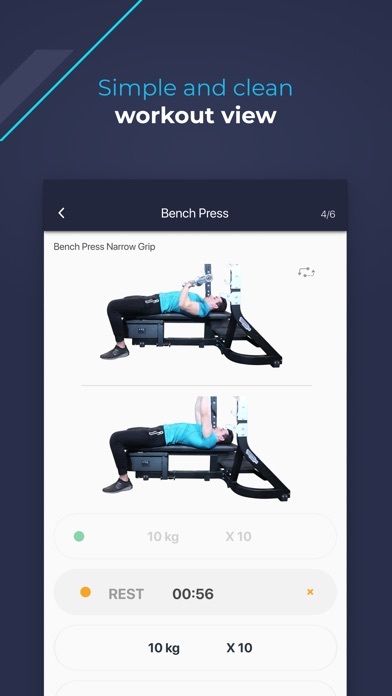 Available photos and videos of each exercise together with the detailed descriptions, explanations, helping instructions ensure that the application is easy-to-use and set. 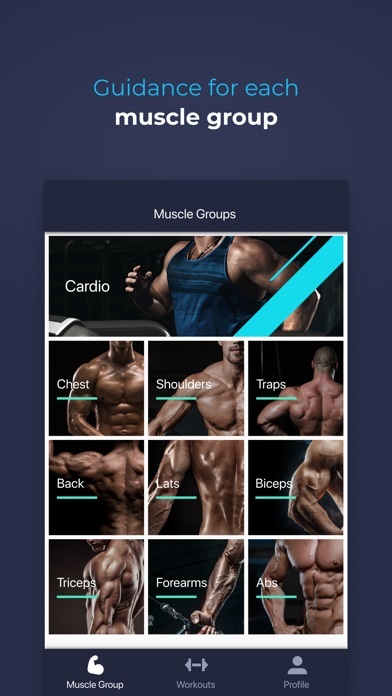 The user can search by muscle group, equipment type or keyword. The application is designed for every intensity level and training type, ranging from a treadmill, stretching, weight lifting (build muscle), calorie burning (lose weight), and strength training. To state it other way, everything is created and designed for You to build super body. What can you do with the Workouts? Do you have an opportunity for Personal Alterations? We have thought about it as well. 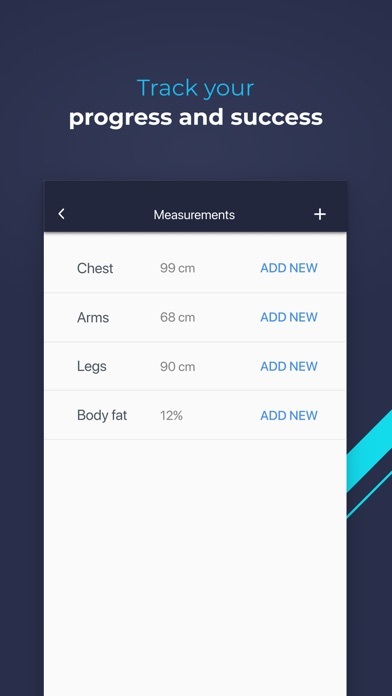 How can you be sure of the progress? 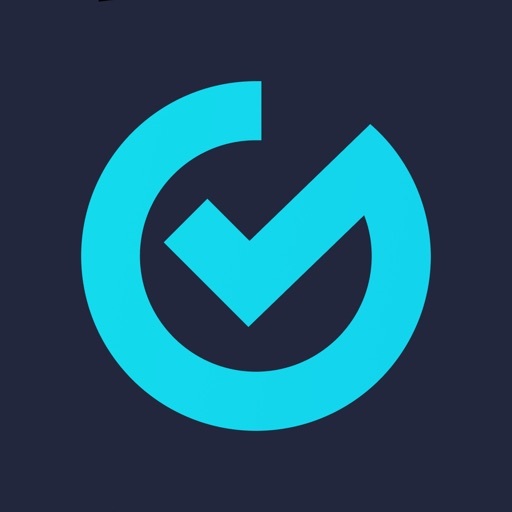 Gym Done has intelligent and smart tracking created to prepare analysis for your gym progress. Dear user, You can have your daily motivation with the Gym Done community, so that you are always inspired and motivated to workout. You can get unlimited access to all workouts monthly USD$10.00 for 3 months or monthly USD$5.00 for yearly subscriptions. Payment will be charged to iTunes Account at confirmation of purchase. Subscription automatically renews unless auto-renew is turned off at least 24-hours before the end of the current period. Do not hesitate to contact us in case of any Questions. We are open and glad for any ideas and comments.